Recently I asked a group of ladies, what would be their idea of a romantic weekend away. Since their answers were all quite different, I decided to choose one property that I think might suit each brief. In order to keep the post to a length that people might actually read, I am only suggesting properties in England and only choosing a handful of clients. If you would like suggestions for other parts of the UK, you can always email me on janet@janetmactavish.travel, and ask me. "A bell tent with fairy lights, and lovely bed could be lovely. A caravan could be luxurious too, if fitted out nicely. 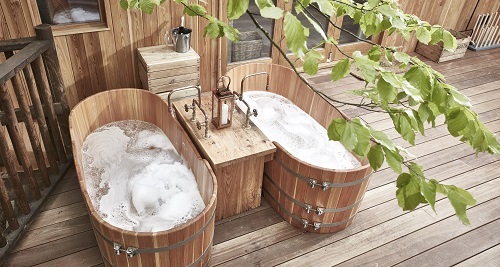 I think the setting would be key, so if you had a gorgeous view, a nice sunset and access to a hot tub. Would be fab"
My suggestions for Laura would be a Hideaway Hut at The Fish Hotel in The Cotwolds, specifically one called Boaty Mcboatface - yes, really. It comes with its own boat, private little lake, and hot tub - the perfect escape. Or one of their utterly gorgeous treehouses, there is a bunk room for kids, but this is a romantic weekend getaway, so leave the kids at home, this time. "In winter - somewhere with a fire, beautiful surroundings, really comfy bed, great food and lots to explore. In summer - somewhere close to a beach". 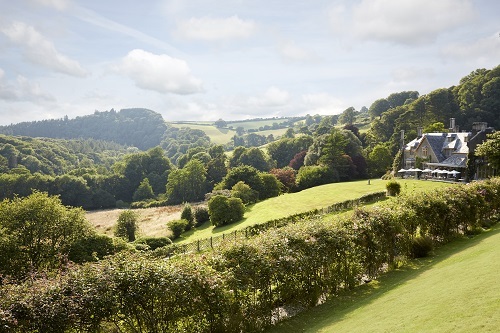 My suggestions for Amy Jayne would be the Hotel Endsleigh in Devon, for fireplaces and beautiful surroundings. There are plenty of things to explore, from the Old Brewhouse, the Greenhouse, the Grotto and the Dairy Dell, where the pixies live, or you could explore the books in the library whilst enjoying freshly baked scones with jam and clotted cream. Now, which goes first, the jam, or the cream? For Amy Jayne's summer escape, I would suggest the Hotel Tresanton in Cornwall, also owned by Olga Polizzi. The Tresanton also has its own 8 metre yacht, buil in 1938 to race for Italy, from May to September it will take you sailing around Falmouth Bay. For more information, details on Valentine's Offers or to book your stay. Email me on janet@janetmactavish.travel and tell me what else we need to do to make it the most romantic weekend ever. Where should you go for your honeymoon in 2019?